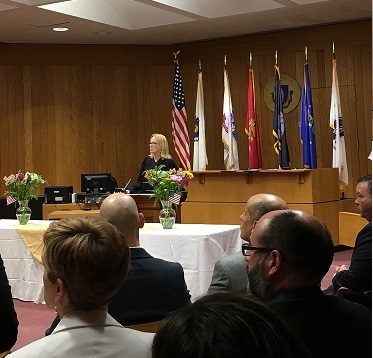 On June 28th judges, district attorneys, elected officials and police honored Johanna Montalvo, Anthony Dauphinais, Robert Motley and Kenneth Martin as the first graduates of the Western Massachusetts Veterans Treatment Court in a ceremony held at Holyoke District Court. Judge Laurie MacLeod presented each graduate with a certificate and a challenge coin. The latter is a medallion given and received in a gesture rooted in military history as a sign of camaraderie, membership in a mission completed and a tangible token that the work continues. “You can see today the evidence that the program works,” said MacLeod, presiding justice of the treatment court. Johanna Montalvo served in the U.S. Army for six years and the National Guard in Puerto Rico for two years. As Johanna awaited her court appearance in November 2015, Alexis Truslow from Soldier On visited Johanna and interviewed her. Montalvo was not aware she was a potential candidate for the Veterans Treatment Court. 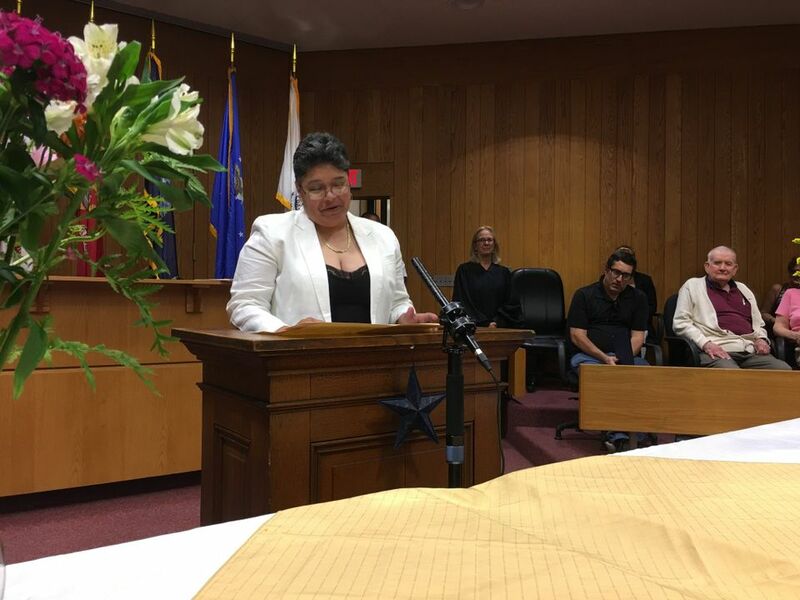 She began in the veterans treatment court Nov. 4, 2015, one of its first participants, said Chief Sean M. McBride of the Holyoke District Court Probation Department. “Since beginning the treatment court she has tested clean on every drug test,” he said. Montalvo spent 9 months at the Soldier On Women’s Program before she transitioned into the community. Montalvo is employed full time as a recovery coach at Hope for Holyoke where she provides support people undergoing substance-abuse treatment. As the first graduate, Montalvo spoke on behalf of the graduates during the ceremony. Montalvo received an honorary American flag that flew at the U.S. military’s Al Asad Airbase in Iraq during a 2004 commemoration of the 9/11 terrorist attacks. The flag was presented by Antonio Padilla, a former U.S. Marine and current probation officer of the Western Massachusetts Veterans Treatment Court in Holyoke District Court. He praised her work with homeless people, helping them find housing and working with police on such issues. 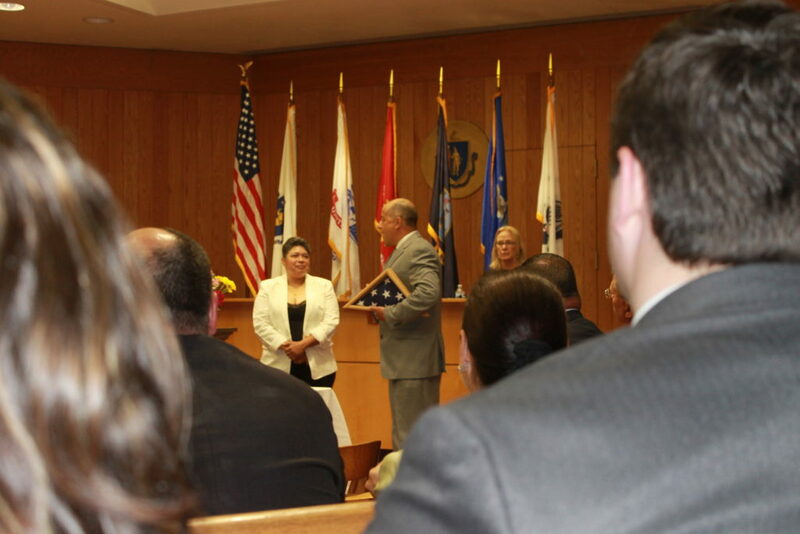 The mission of the Western Massachusetts Veterans Treatment Court is to reintegrate court-involved individuals who have served in the nation’s armed forces into society as honorable citizens. Admission into the Veterans Treatment Court provides for competent assessment and treatment planning for both substance dependence and mental health disorders. The program included supervision, monitoring and support to veterans while protecting public safety. The Western MA Veterans Treatment Court offers a voluntary, 18-month probation term intended to serve veterans struggling with mental health and/or substance use disorders. The program involves ongoing judicial and probation supervision with input from a multidisciplinary team of professionals. The Court promotes sobriety, recovery and stability through collaborations with VA and community-based treatment providers including Soldier On. 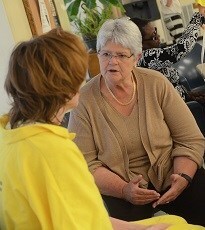 In addition, all participants are matched with a veteran peer mentor who acts as an advocate and mentor. Veterans behind bars in Mississippi are getting help before and after their release from prison. 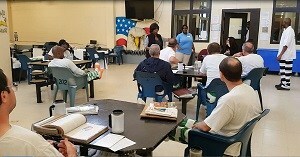 The Mississippi Department of Corrections , MDOC, is offering the Mississippi Statewide Incarcerated Veterans Program or Soldier On. Since it’s launch May 9, 2016, 59 inmates have been enrolled. Right now, 32 former soldiers are participating, including April Williams, who served in the U.S. Air Force. Williams is a repeat offender who is hoping Soldier On helps her stay out of prison. This is Williams second time in prison. She is serving two years for shoplifting. The program is a joint effort between MDOC and Voice of Calvary Ministries. The program has 11 full time volunteers and three part time volunteers in addition to eight correctional officers and one case manager. Each week veterans receive 20 hours of intensive instruction which includes meditation, life skills, marriage and family, budgeting, wills and estates, resume writing and dealing with consequences.